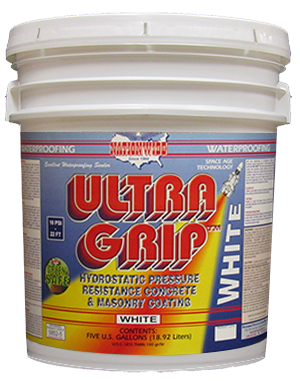 ULTRA GRIP™ is a bright extra white, light textured finish, high-performance commercial grade 10 year, concrete & masonry waterproofing coating. ULTRA GRIP™ is a waterproofing resin modified with flexible encapsulated polymers which penetrate into the masonry for the ultimate in waterproofing protection. This new technology has excellent penetration on porous surfaces and will resist up to 10 psi of negative or positive hydrostatic pressure, which is the equivalent of a 22 foot high wall of water. It will also reduce penetration by radon gas. ULTRA GRIP™ is formulated with an environmentally friendly biocide to resist mildew growth. Conforms to ASTM D-7088 resistance to hydrostatic pressure and ASTM D-6904 resistance to wind driven rain. Weight per Gallon: 12.0 lbs. 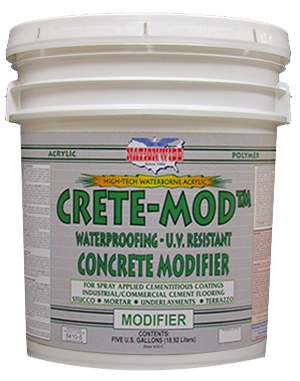 Polymer Emulsion for Waterproofing & Modifying Cementitious Mixtures to Increase Strength, Adhesion & Water Resistance. 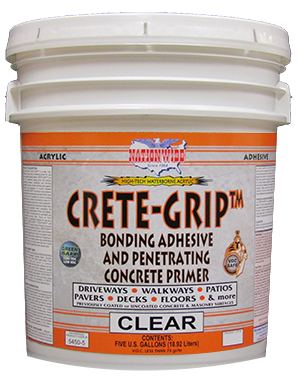 Troubleshooting Gripping Bonder Primer for Most Smooth Uncoated Concrete Surfaces and Some Smooth Coated Surfaces. 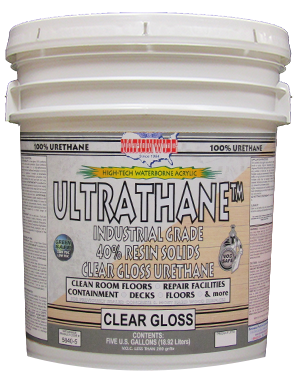 Clear Gloss 100% Urethane with 40% Active Solids Protective Urethane Coating & Sealer. Excellent Abrasion & Chemical Resistance. For Most Coated Surfaces. 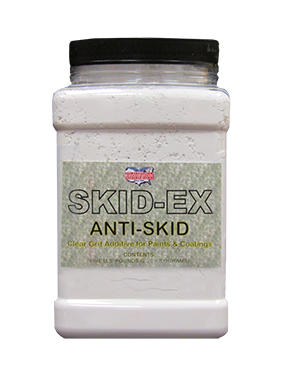 Anti-Skid & Anti-Slip Additive for use in Latex Clear Coats, Paints or Stains for Reducing Slip & Skid on Floors.